The sound and sites of small amounts of moving water always brings a serene, tranquil feeling over most. 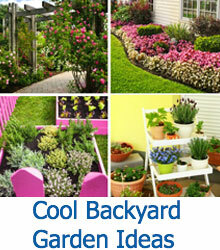 Here are some Garden Water Wall Ideas you can create. 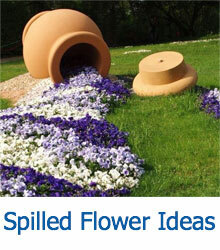 We all love the idea of spicing up our gardens and yards with something beyond the ordinary. Whether it’s a spectacular planter or a stand-out sculpture, the idea of something above and beyond beautiful plant life stirs the imagination. With that in mind, we’d like to explore the world of water walls. These unique water features, in their wild diversity, all spring from a core idea: a large vertical surface upon which water dances and walls, making for an exceptional and mysterious presence. 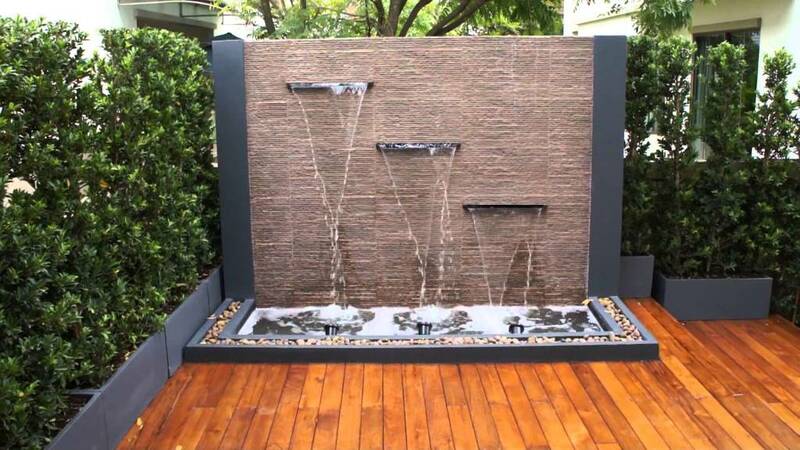 Water walls mimic the look and feel of a trickling waterfall, or a moist cave wall, or even the controlled flow of a professional fountain. 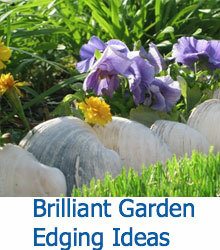 They bring serenity, relaxing sounds, and a sparkling visual to any garden. Because there is such a wide range of features that fall under the umbrella of water walls, we’ve taken some of our favorite ideas and created a short list to get your imagination pumping. 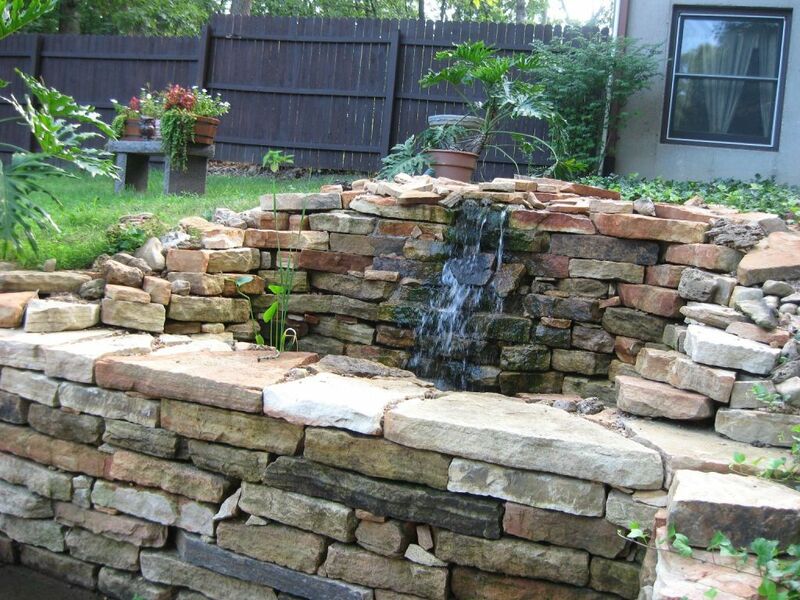 Below you’ll see more traditional water walls along with features on the cutting edge of creative garden design. The placement, function, and look of each of these projects is stunningly unique. What works in one garden might be completely different than what flourishes in another, so keep an open mind as you peruse the ideas featured below. We’ve included source links for each item on our list, and encourage you to seek out background information, instructions, and the wider world of water wall ideas available online. 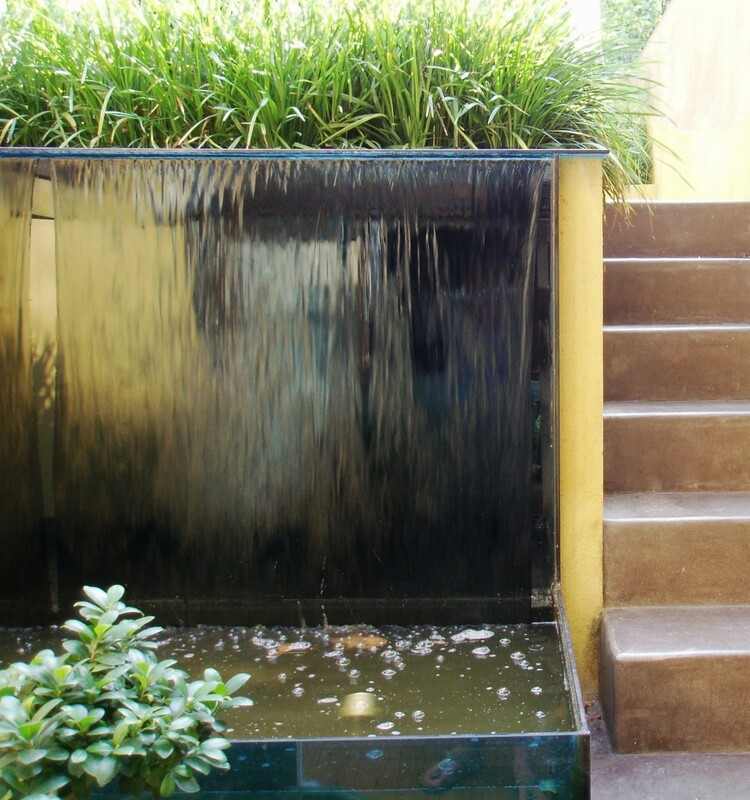 This feature streams an unending ribbon of water from the side of raised planters on a patio. Standing next to a staircase, it helps define the wall and adds immense visual appeal and mystery to the space. This design incorporates a trio of slim waterfall sources, staggered diagonally across a singular wall on the edge of a patio. Framed in expertly groomed shrubbery, it features a reservoir wrapped in polished stones. 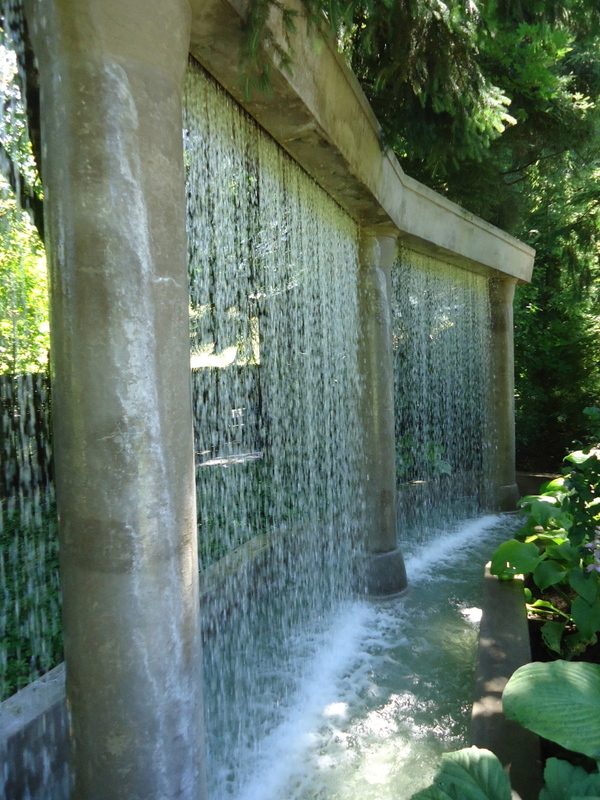 This astounding water feature suspends a “curtain” of water between pillars on a Greek-style garden wall. 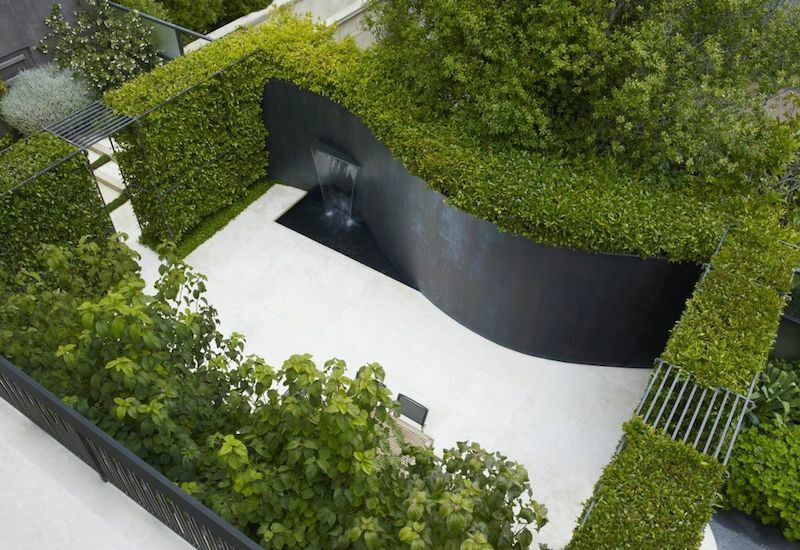 Standing over a manmade pond, the water pours in a wide vertical space for a spectacular, transparent dividing wall within the garden. 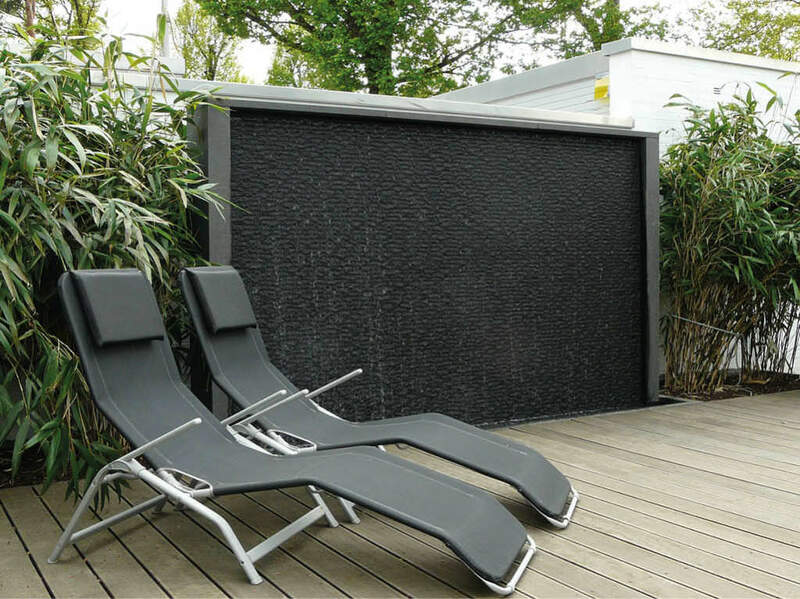 Commanding attention and aiding privacy in the patio, this large black water wall supplants the fence, along with thick flanking plants. The textured surface allows water to playfully dance in the light upon a subtle expanse of dark tones, amidst a bright and green garden. 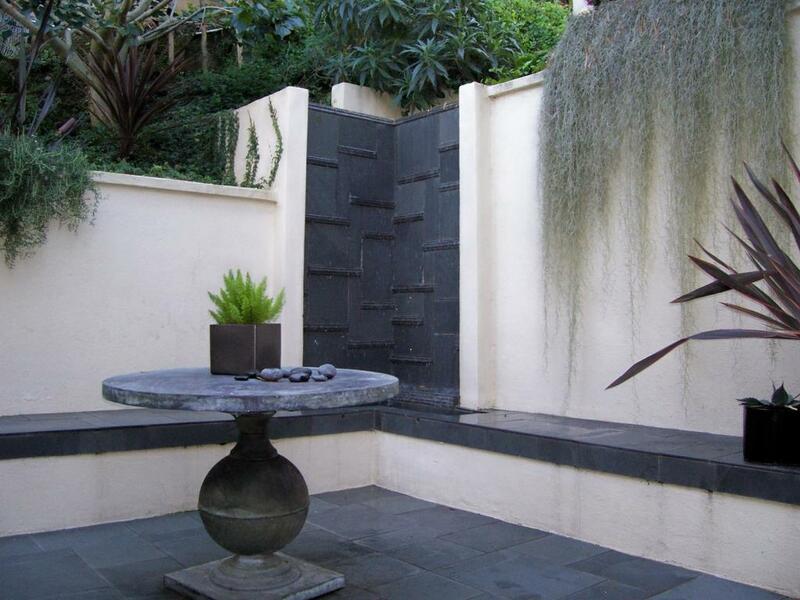 This freestanding unit doesn’t fit the strictest definition of a water wall, but it is still a wall-based water feature. We think it looks fantastic. 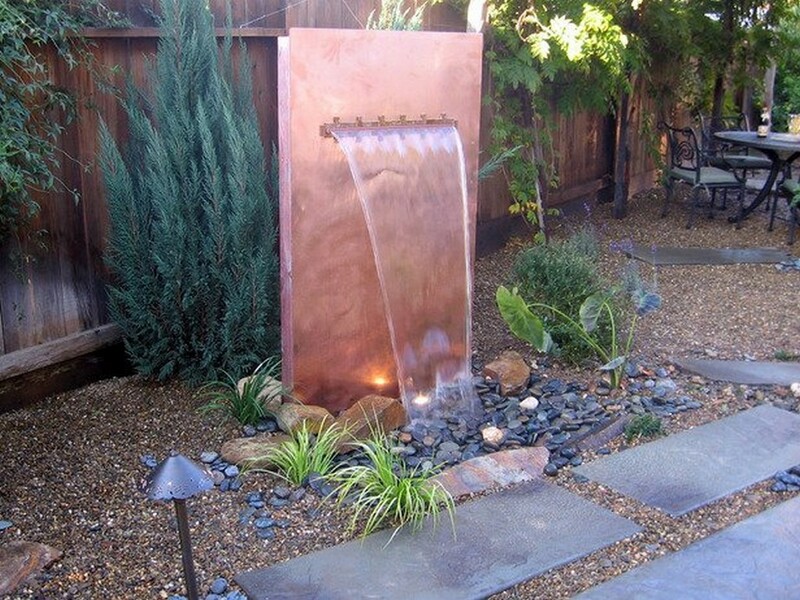 The bright copper tone contrasts with the natural surrounding environment, while a thick ribbon of water spills onto a bed of polished stones. This timeless looking piece features a mixture of brick and stone pieces, creating a mosaic of texture for water to spill over. The elaborate structure includes an upper reservoir spilling into a manmade pond at the bottom, plus carved vines across the vertical surface. This breathtaking water wall is another big departure from the core them, with a large copper hued “door frame” structure giving way to a thin ribbon of water. This creates a sort of visual entrance to the garden, with water sparkling in the sunlight over polished stones. Sandwiched between a pair of rich vertical gardens on a sleek timber wall, this water wall features an intricately textured backing. Standing out by way of its subtlety, this feature is perfectly framed by rich vegetation. One of the most satisfying activities for any intrepid gardener is the building of elaborate, beautiful features like these. 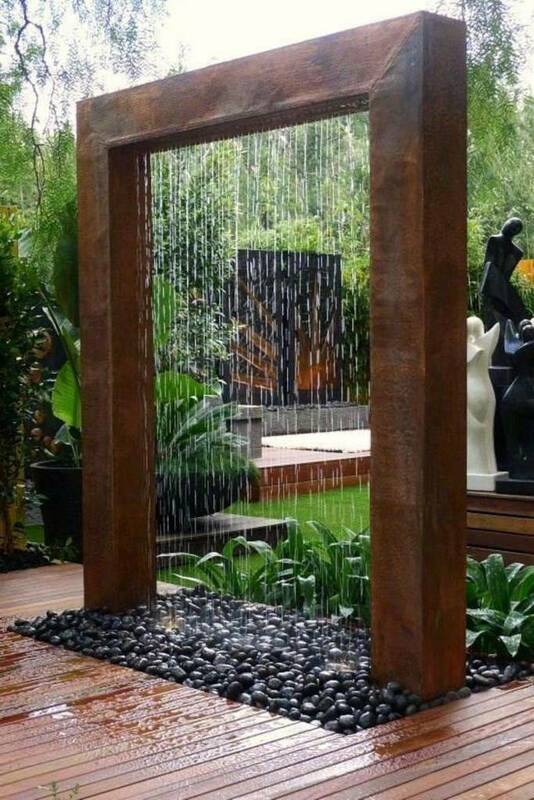 With some heavy lifting, time, and creativity, you could carve out your own water wall, much like the image below. This bespoke feature stands as part of a large wall wrapping a lowered patio space, creating a discreet oasis in the corner. 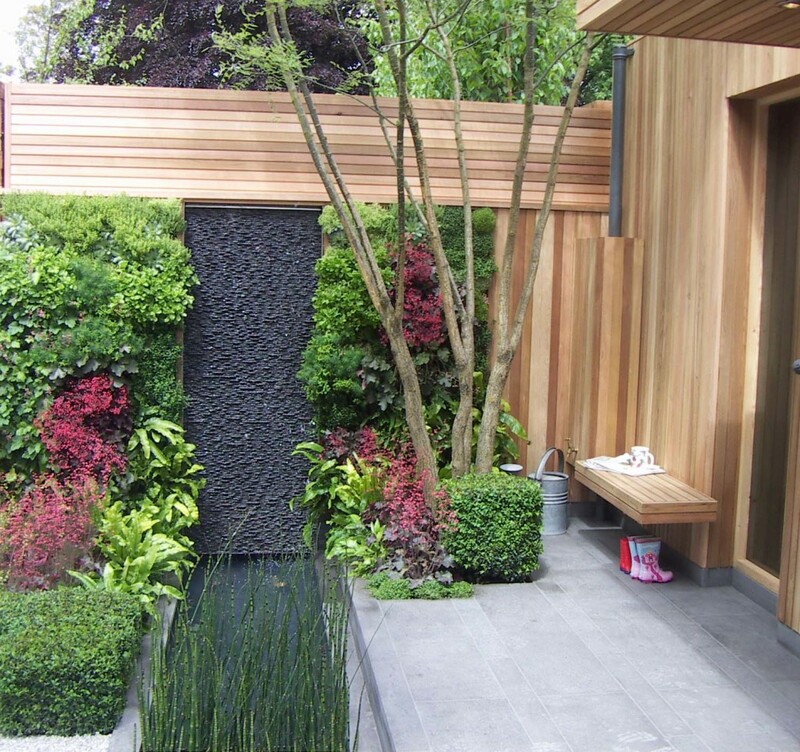 A series of horizontal slats add visual interest and obstacles for the water, while the dark backing helps it connect with surrounding foliage. We hope you’ve enjoyed perusing this gallery and felt as inspired as we have! 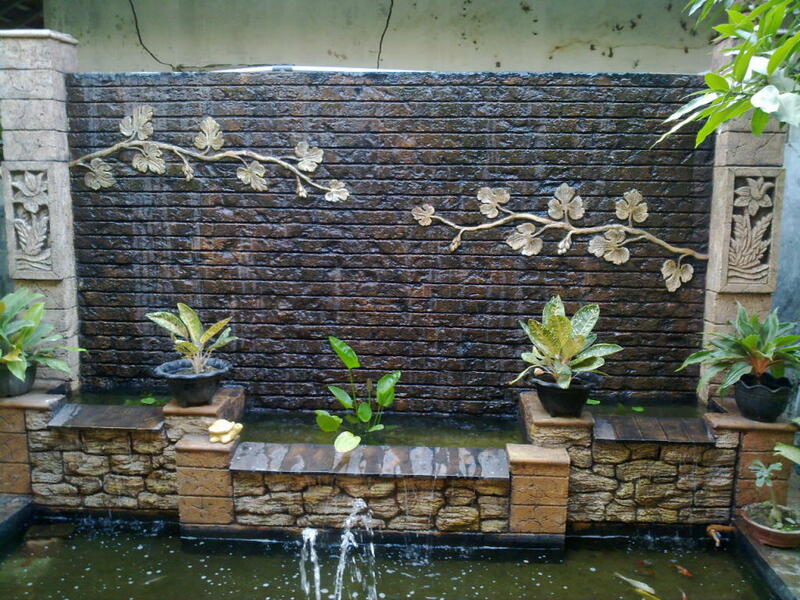 The world of water wall possibilities is an expansive, varied one.